What can fans expect from the final season of Game of Thrones? Recently, star Kit Harington spoke with Deadline about the eighth and last season of the HBO TV show. Harington plays Jon Snow on the fantasy drama, which also stars Peter Dinklage, Nikolaj Coster-Waldau, Lena Headey, Emilia Clarke, Sophie Turner, and Maisie Williams. What do you think? Are you a fan of Game of Thrones? What do you hope happens in the final season? More about: Game of Thrones, Game of Thrones: canceled or renewed?, HBO TV shows: canceled or renewed? 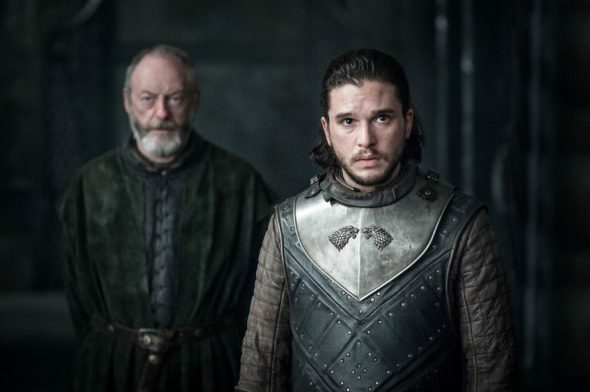 Game of Thrones: When Will HBO Release Season Eight?